Are you concerned about your teen developing an eating disorder? 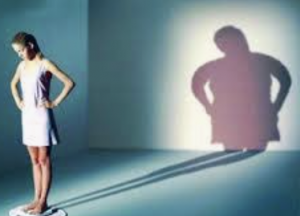 As a caring parent, the worry about your teen falling prey to societal ideas of body image that are less than healthy has probably crossed your mind a time or two—especially if you have a daughter. Why do teens succumb to the pressure? There’s nothing abnormal about wanting to look good. But some teen worries so much about getting fat or even just gaining a few pounds that they shake when sitting down for a meal or they feel immense guilt if they had a little too much to eat. And thus, the vicious cycle starts. The sad fact is that millions of teens have a daily struggle with eating disorders. Of course, you don’t want your teen to be one of them. But is there anything you can do to safeguard your child? Safeguarding your teen from ever developing an eating disorder calls for keen observation skills and open communication. Anorexia nervosa, binge-eating, and bulimia nervosa are some of the most common eating disorders. While signs vary, depending on the type, you need to stay alert to any patterns that may signal unhealthy eating habits. You may also want to recruit the help of your teen’s physician to identify the early signs of a possible eating disorder. These professionals are in the perfect position to keep an eye on any unusual changes in your child’s weight or other physiological symptoms. Frank and open conversations are one of the best tools parents can use to prevent eating disorders. It allows you to ever-so-subtly adjust your teen’s misconceptions and alleviate their worries. Remember, though, don’t lecture. Strike up friendly conversations whenever the opportunity presents itself. Stay relaxed but be candid. Lamentably, the media can send teens a constant stream of messages that say, “This is how a perfect body looks.” It’s easy for your child to think that nothing short of that ideal is acceptable or even considered beautiful. Talk with your teen about these distorted standards. It may be as simple as pointing to a celebrity and asking what they think about the body image this person portrays. Encourage your teen to express their views and listen carefully. Diets are no temporary trends. They’ve become such a normal and integral part of our modern lives, we often don’t see anything wrong with that. And while some people need to be on diets due to specific illnesses, a healthy, growing teen certainly doesn’t have to be. In fact, it can be quite dangerous to their health and body development. Make sure your teen understands those dangers. Promote healthy eating habits by being the example yourself and by regularly eating meals together as a family. And encourage your teen to eat whenever they feel hungry—never in an effort to cope with difficult emotions. Make every effort to avoid making potentially hurtful comments about your teen’s appearance or that of any other person. Instead, reassure them that healthy bodies come in all shapes and sizes. And model making good lifestyle and eating choices, taking pride in your body just the way it is, and being respectful of other people’s body shapes. At first glance, this subject may not connect to eating disorders or body image issues. But showing pride and expressing respect for your teen’s accomplishments and supporting their goals are vital ways you can promote their self-esteem. And when your teen feels confident and good about themselves, they have less need to live up to some outrageous standard of beauty imposed by those who have little interest in their well-being. Look for positive qualities you can praise—curiosity, ingenuity, kindness, generosity, dependability, honesty, compassion, humor, etc. And show with your words and actions that your love and acceptance isn’t based on their physical characteristics. Eating disorders are not something to be taken lightly. They are serious conditions that can have grave adverse effects on your teen’s health, emotions, and ability to function. The best defense is safeguarding your teen against eating disorders. But if your teen has already developed an eating disorder or is well on their way, early intervention with the help of a professional is of utmost importance for your child’s well-being. In general, a specific type of family therapy is recommended to help along recovery. It will teach you practical ways of working together with your teen to manage their symptoms, improve their eating habits, and allow them to live a happier and healthier life.